"It’s a song about feeling disenfranchised..."
Sleeper's reformation last year conjured warm memories of their stellar original run. Always that little more savvy, more lyrically astute than many of their peers, the band's razor-sharp lyricism wrapped itself around some of the 90s finest guitar pop ear-worms. 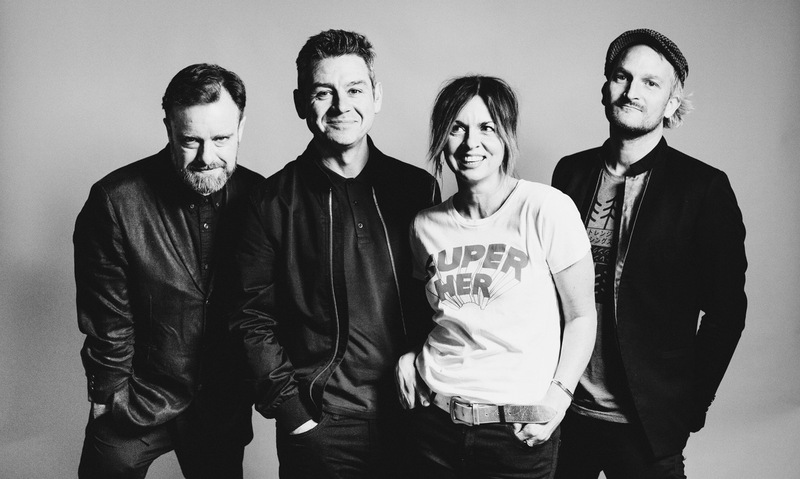 Splitting in 1998, the band ended 2018 by releasing their first single in 21 years, the remarkable 'Look At You Now'. At the time we praised it, remarking on its feel for "vintage Sleeper but given a raw twist, sounding somewhere between those classic singles and younger groups such as Honeyblood." With Sleeper set to play a flurry of in-stores in March the band are now ready to share the visuals in full. Making incisions into the past, Sleeper peer into the debris of the 20th century in order to pick apart the societal mess we currently find ourselves in. "It’s a song about feeling disenfranchised. Politics, on every side, is pushing to the extremes, ideas we thought we’d left behind in the 20th century." "When we were putting together the artwork for our new album we got really into film footage from the 1950s and 60s: political rallies, crap B movies, and public information films. We wanted to use the chaos of those images to show our political landscape in the midst of a nervous breakdown." "If there’s a message it’s this: chose reason and debate over dogma, otherwise we might all be a bit fucked."